Pacific Coast Marine is a door and hatch manufacturer for yachts and commercial vessels and was machining several different bushings, washers, and other components for their products at a high cost per unit. We evaluated their components and determined which ones could be molded together based on size and wall thickness and submitted a proposal to mold them together. Shut-offs were put in the mold the isolate certain parts based on estimated usage, allowing us to run the more frequently used components alone. 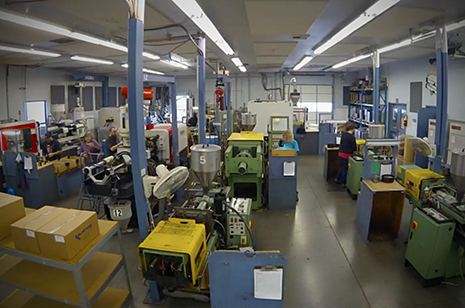 We were able save our customer thousands of dollars by injection molding their parts instead of machining them, and even offered to stock the components to allow for Just-In-Time delivery.